The message was made for times like Wednesday. 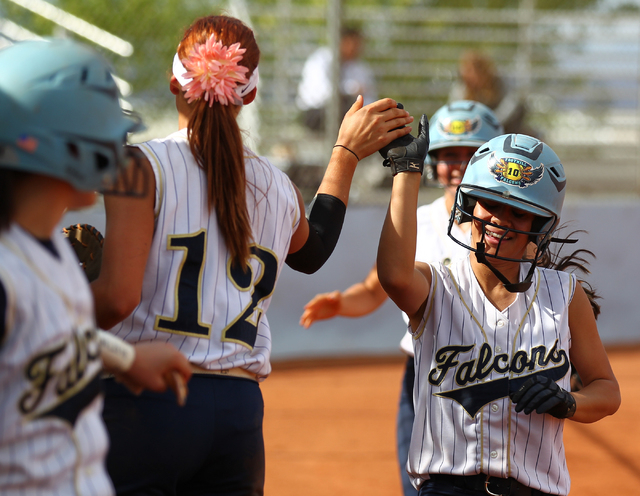 Trailing by a run and struggling to generate offense against Coronado reliever Danielle Amato, the host Falcons scored twice in the fifth inning and held on for an 8-7 victory to claim the Southeast League title. No. 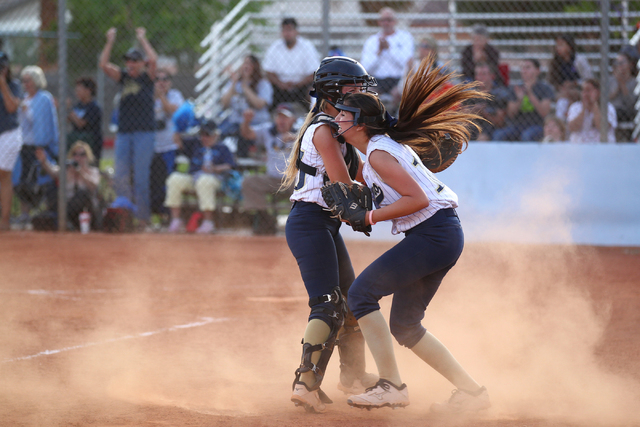 9 Foothill (16-13, 9-1 Southeast) will host either Green Valley or Las Vegas on Tuesday in the opening round of the Sunrise Region Division I tournament. Alexia Campbell went 2-for-3 with a double and three RBIs, and her single in the fifth scored Kiela Lizares with the eventual winning run. 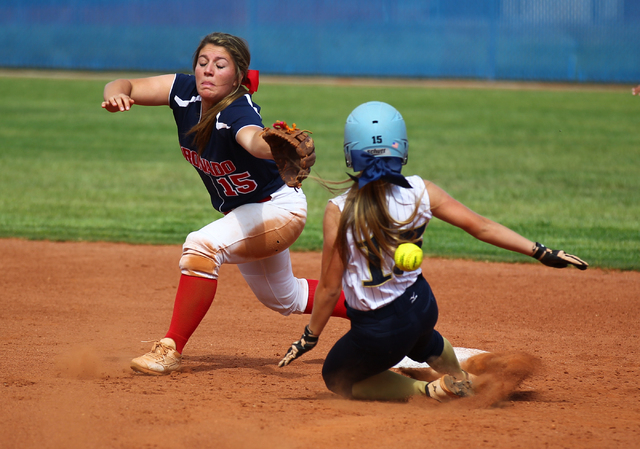 Kelsey McFarland was 2-for-4 with two doubles and drove in three runs for the Falcons. 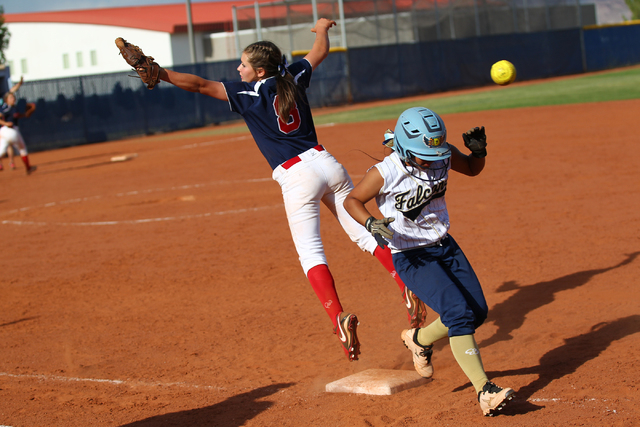 Foothill trailed 7-6 entering the bottom of the fifth when RaeAnn Brems led off with a line drive to second. 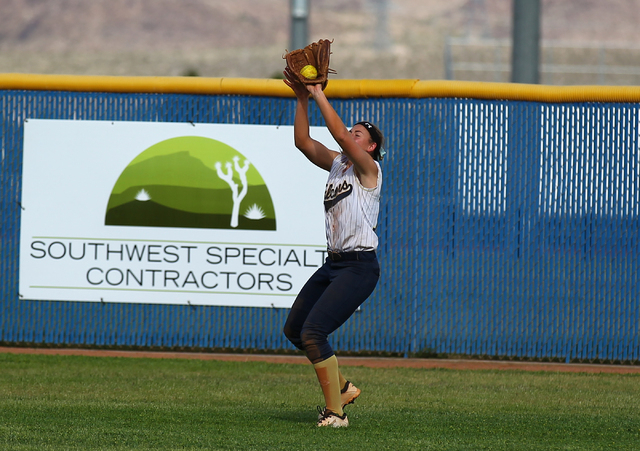 Marissa Kopp made a diving stop and, thinking she caught the ball on the fly, didn’t throw to first. But after a brief discussion, the umpires ruled that Kopp trapped it. Lizares followed with a sacrifice bunt, and a throwing error on the play allowed Brems to score from first and tie the game at 7. Three batters later, Campbell knocked in the go-ahead run. 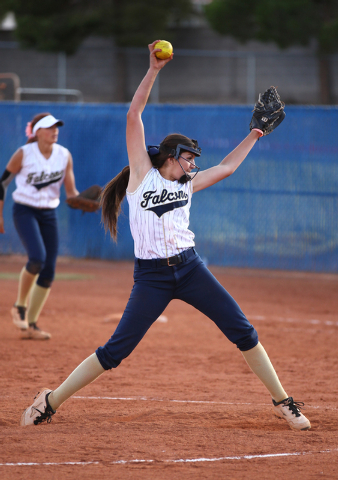 Falcons pitcher Sarah Penksa retired the final nine Coronado batters in order. 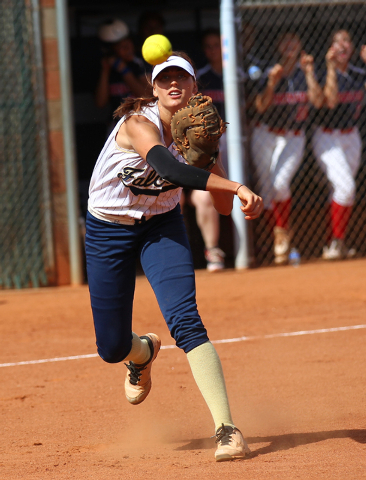 She got eight ground-ball outs in the final three innings and didn’t allow a ball out of the infield. Jaiden Johnson was 3-for-4 with two doubles and two runs for No. 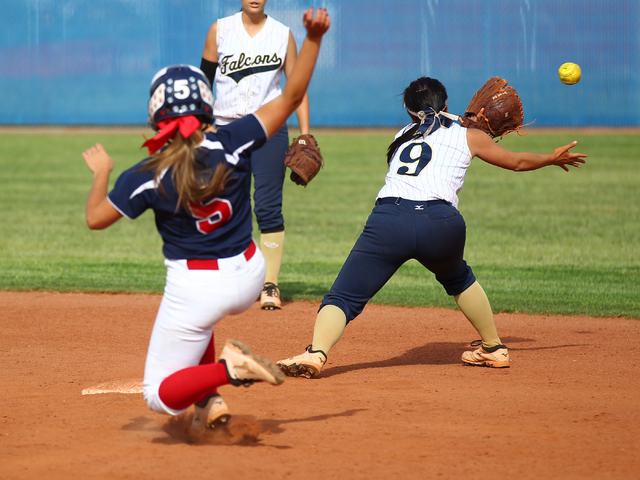 6 Coronado (18-14-1), which rallied from a 6-1 deficit. 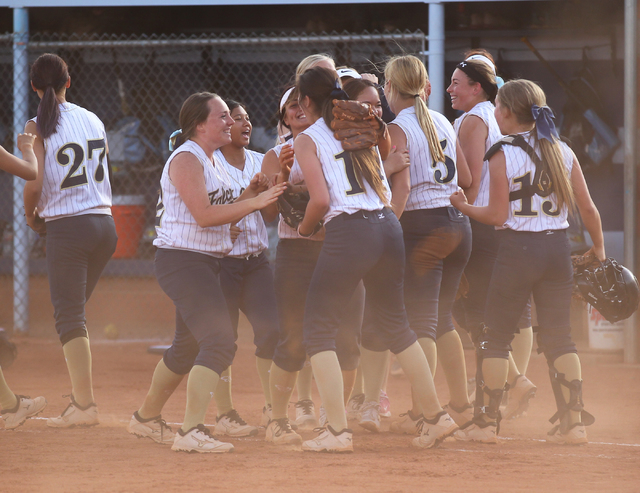 Basia Query and Nicole Hardy had run-scoring doubles in the third inning as the Cougars scored three runs. 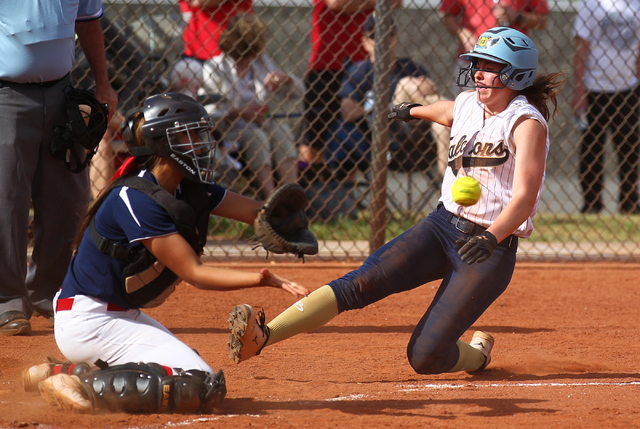 In the fourth, Katie Dawson’s RBI single tied the game at 6 before Hardy’s single gave Coronado a 7-6 lead. 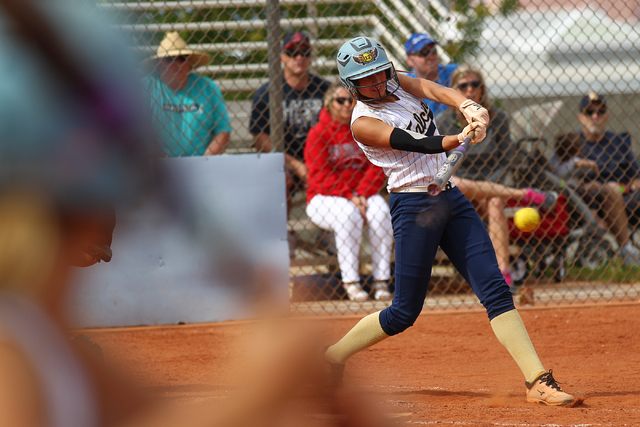 Amato finished 2-for-3 with two RBIs, and her single in the first gave the Cougars a 1-0 lead. 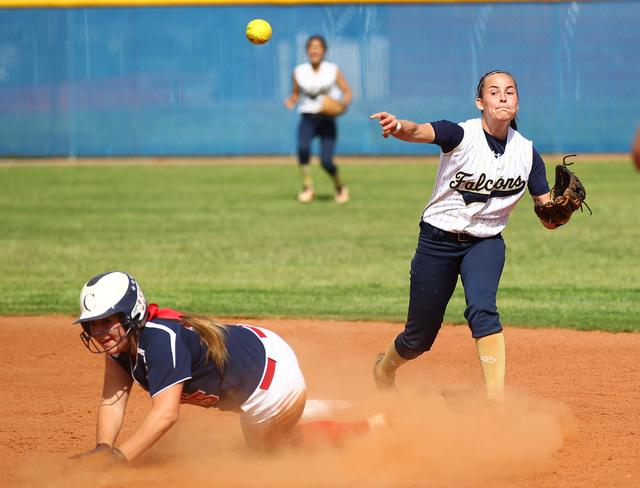 Foothill erupted for six runs in the second, highlighted by a two-run double by Campbell and a bases-loaded double by McFarland.